A friend and I decided to have some fun a few weeks ago, so we went off to test drive a car two. He had just purchased a new bakkie for his work, so I was the potential customer. Although I had no intention of purchasing a new vehicle when I went in, after leaving the second dealership I was seriously considering it. We first went to Audi, I’ve always liked their cars, and having driven one for the past 6 years, figured I should give their newer range a go. They’ve got a nice dealership up on the hill, but with a relatively limited range. Only about 5 vehicles in their ‘new vehicles’ section, and an equal amount of second hand vehicles. When we arrived a lovely second hand S3 (2012 8P) immediately caught the eye. We anyway went to look at what new vehicles they had and were shortly joined by a salesman. After chatting for a bit we mentioned our interest in the S3, he mentioned that it had been sold already, and shifted our interest to two A3 1.8T sitting on the floor. While it was cool to see what cars were available, what we really wanted was a test drive. And this is sadly where Audi fell short this day. Apparently the branch was sponsoring a golf day and all the managers were out at said golf day. Apparently the guys on the floor can’t take out any of the cars in such a situation as the keys are all locked away, and a manager is needed to access the keys. This was frustrating and sad at the same time. In any case, he said I could come back any time during the week and he’d organise a drive, even following up with several phone calls a week later. Time was running out for our Saturday, so we had a quick look over the neighbouring VW dealership, which sadly had no Golfs on offer, only a large array of polos and a couple Amaroks. A quick drive brought us around to the BMW dealership. With a similar display of vehicles, we quickly spotted a 118 and 323 which caught our eyes. The 323 was 50 grand cheaper, but was sitting at 80k km, as opposed to the 30k km on the 118. Realistically the 118 (2012, F20) was a more likely choice, so we took it for a drive. The car was an automatic, white leather seats and white interior. Although I’ve never been a fan of the looks of the 1 series, it has been improved with the more recent iteration, and, in my opinion, the shortening of the bonnet. Getting in it was comfortable, and there was still enough space behind me for the average passenger, although the drive shaft going to the rear wheels will make it a bit awkward putting a third person in the back seat. I liked the interior. It was modern and neat. Minimal buttons and nicely designed. The auto gear-lever works well, as does the ‘manual’ shifter, which has a forwards/backwards action as opposed to the sideways motion of the Mercedes I have previously driven. The centre console looked a bit overly complicated, and it was awkward to navigate it and drive at the same time, this is possibly something that just comes with time. But I found it less easy to use than the Merc C-Class’s. Driving itself was great. The 1.8t pushing out a good 120kW in a relatively small car gives it plenty of umph with a nice little turbo-boost, something that’s great to experience having previously only really driven naturally aspirated engines. The car handles the corners with minimal body roll and comes equipped with standard run-flat tyres which gave a pleasant ride around town with sufficient grip. I had follow up calls from the saleswoman the following week, even knocking 10 grand off the price. Ultimately there is very little she could have done to get me to buy a car with that white interior. I’m off the beaten track far too often to even consider white carpets. Otherwise a very nice car, and definitely a good first experience with the 1 series and BMW in general. So the following week the salesman from Audi gave me a call. Or four. I wasn’t good at answering my phone. 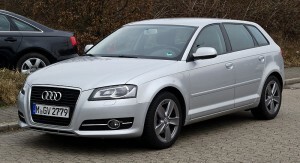 But in any case, I took a trip out to see what the Audi A3 was like, and ended up taking an A3 1.8T out for a drive. As mentioned I have an affinity for Audi. Their designs have always been my favourite. Getting into the car however I was slightly disappointed. The interior was nice enough, but it was more chunky and less refined than the BMW. It drives well enough though. This was a manual 6-speed with a similarly powerful engine to the BMW. It was easy enough to get an accidental wheel-spin at the first intersection thanks to the front-wheel drive nature of the car. But traction control was quick enough to kick in and get the car going in the right direction. The car is great, handles equally well and I had some fun round a couple circles and up the freeway. Sufficient power to get you going and the manual gearbox works nicely. This specific car had an odd clicking noise whenever the clutch was depressed and the clip on the armrest lid was broken. Not the kind of thing you want when buying a car. What disappointed me the most about the car was how uncomfortable I was. At 6’2 I’m not the shortest person, but I really battled to get a comfortable driving position. No matter how many different levers and buttons I pushed on the seat and the steering wheel I sadly couldn’t get comfortable. The armrest also just annoyed me. 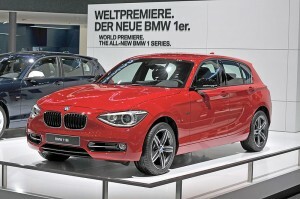 So for me, the 1 series takes the comparison hands down. Although I prefer the look of the A3, the two cars I looked at the BMW had a better interior, it was rear wheel drive, and I was actually comfortable in the car. Also to note is that the Audi I drove was at the end of it’s model lifespan, compared to the relatively new 1 Series model. The new Audi (8V started production in 2013) would realistically offer a better competition to the BMW (F20 started production in 2011). Things to take home. Cars are really expensive :( Car salesmen are really friendly, they laugh at your jokes, phone you at work etc. There are some really nice cars on the market. Car choices are really subjective. Also I don’t know how people decide what car to drive. Personally I’ve always been fond of a station wagon, gives you space, but still the handling of a sedan. But SUVs are better for the offroad, something useful in this country, but then they don’t necessarily drive as nicely on the road in the same price bracket. At least this is not a problem I have to deal with now. This entry was posted in cars, Opinion by Gareth. Bookmark the permalink.